An election sign at a Ada County polling place. An updated list of results for the March 12 election. 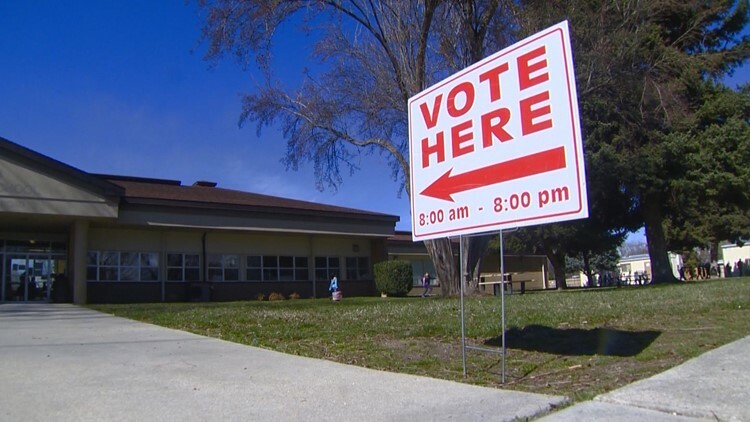 BOISE, Idaho — School districts across Idaho asked voters to approve funding requests on Tuesday. Below you will find a county-by-county list of all the funding requests in southwest and central Idaho. Polls close at 8 p.m. Mountain Time. The list will be updated to include the results (in bold) as they come in. For a look at election-related stories and other voter resources, check out our Voter Guide page.